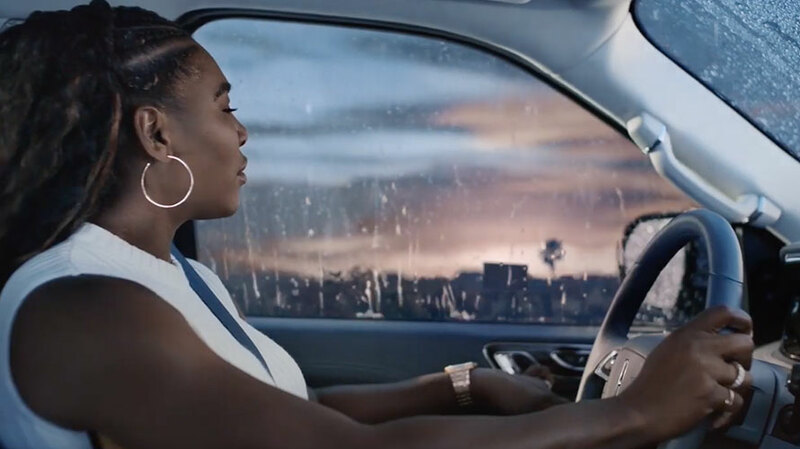 Serena Williams takes shelter from the storm in a new 60-second spot for Lincoln from Hudson Rouge, which will be running during Sunday’s broadcast of the 2019 Grammy Awards. While a thunderstorm rages around her, Williams finds herself at peace in the cabin of her Lincoln Navigator. She turns on the song “Make Yourself Comfortable” by four-time Grammy award-winning jazz singer Sarah Vaughan (also a nine-time nominee and Grammy Hall of Famer) and leans her chair back to take in the scene. Along the way, the ad makes sure to focus on the vehicle’s 20 speaker-Revel Ultima audio system (this is a Grammy’s ad, after all) as Williams turns the volume up to drown out the rain. “Sanctuary” will make its debut during the broadcast of the 2019 Grammy Awards on Sunday, Feb. 10, supported by digital on NBCUniversal and Billboard online and Lincoln’s own social channels. Lincoln named Serena Williams as its new brand ambassador nearly a year ago, and she subsequently appeared in an anthem ad documenting her return to tennis. The brand will also use the Grammy’s as the broadcast debut for “Namesake,” a spot honoring Abraham Lincoln that previously ran on digital channels ahead of the 16th president’s birthday on Feb. 12.